If you’re a large organization Social Media is already an important part of your marketing plan. Subsequently, you now need real-time monitoring and analysis of the millions of conversations occurring in Twitter, Blogs, Facebook, and News Media Comments that mention your brand. At Marketing Type Guys we’re experts with Radian6, Adobe Social and Crimson Hexagon social media monitoring tools. These industry leading softwares are invaluable when measuring the impact of social media on brand, marketing initiatives or crisis. Of course, like all great software, there is a lot to learn and understand in order to make the most of the tool. With over 4 years of experience mining and analyzing data we are here to help! Look to MTG for agency pricing, software configuration and report generation. 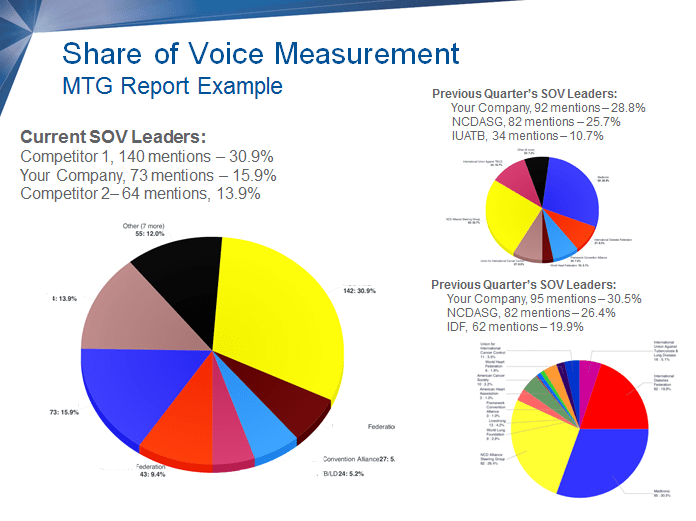 Typical reports are provided in PPT format with slides bringing focus to topics of interest such as Sentiment, Topic Trending, Source by Location, Media Types or Share of Voice over Competition.